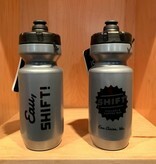 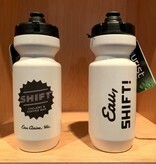 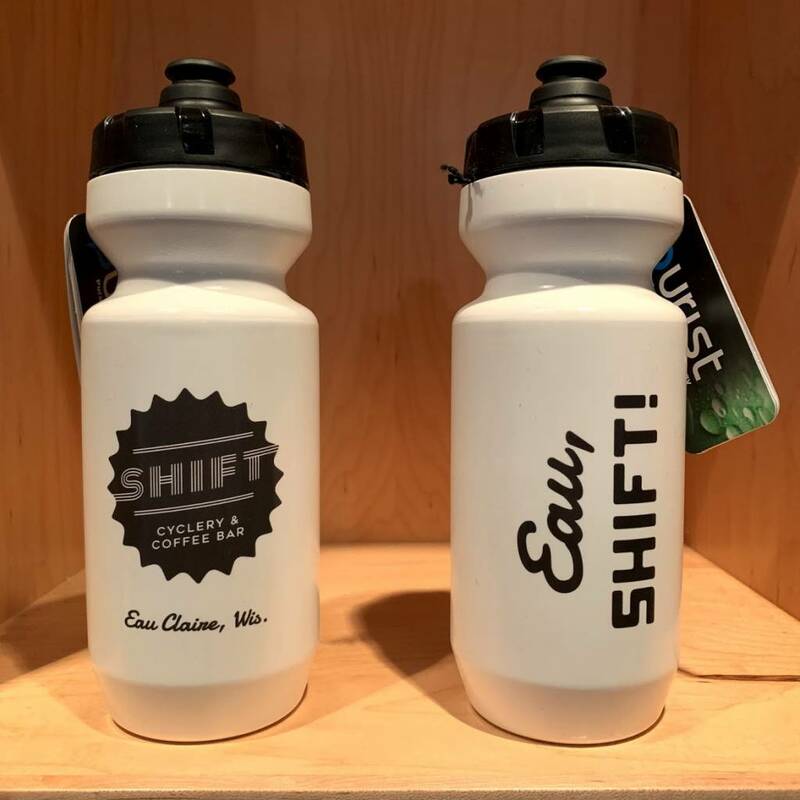 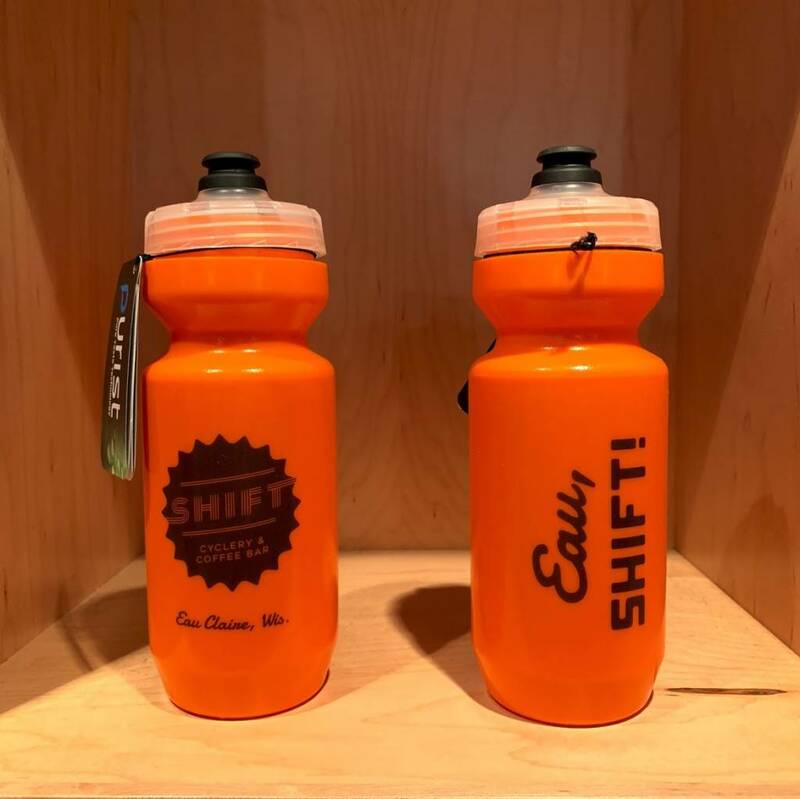 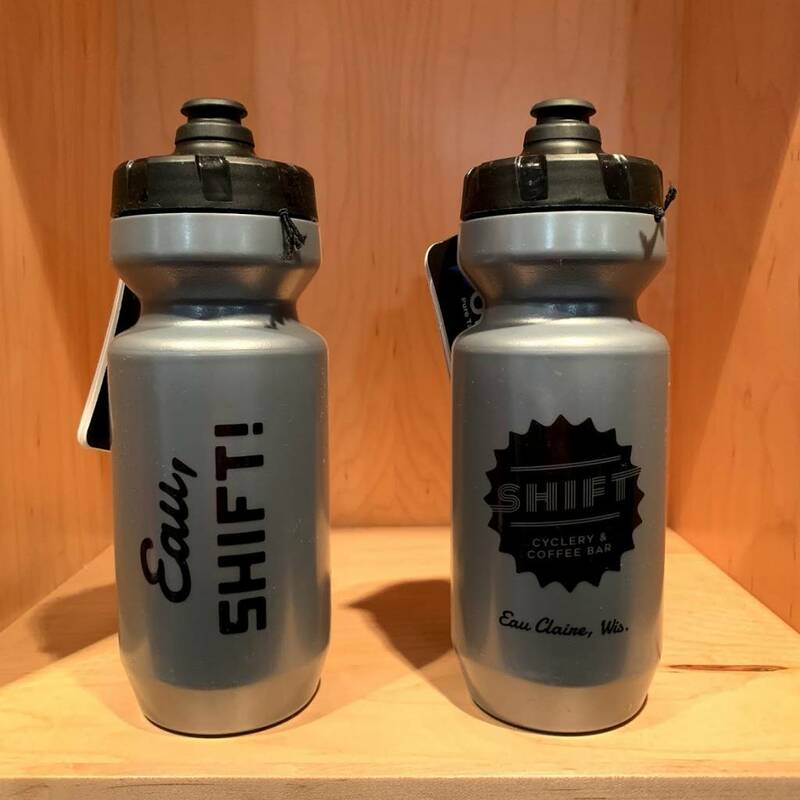 Our SHIFT branded 22oz water bottle from Specialized. 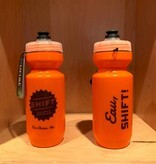 Their 'Purist' technology shields the bottle from any bad taste, mold, or staining. As pure as drinking from a glass, but with all the advantages of a flexible bottle. 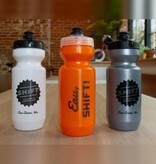 Nothing sticks, so your bottle stays clean and your water tastes pure.